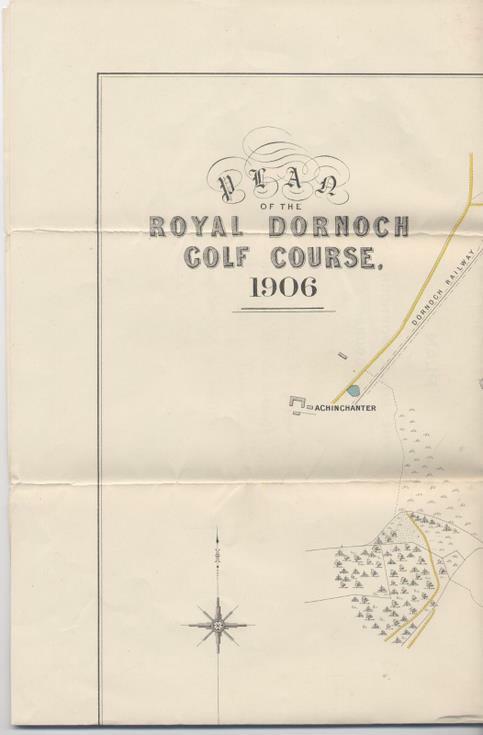 Plan of the Royal Dornoch Golf Course, with handwritten note by town clerk Hector Mackay dated Oct 9th 1906. The plan is in colour and shows the 18 holes of the course and other features such as Littletown, the Sutherland Arms Hotel, Station Hotel, Achinchanter and railway. A table at the side shows the length of each hole. The plan was drawn by D McLean Jr PASI. Good condition but worn through on centre fold.